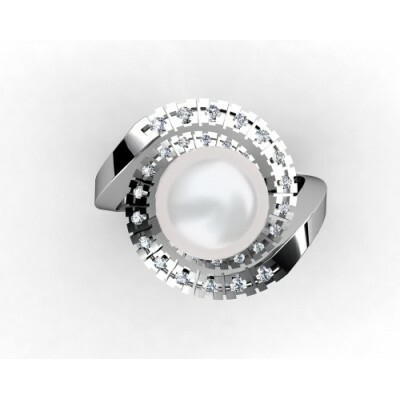 Majestic Ring made with 3.31gr of 18k White Gold and a beautiful central White Cultured Pearl of 6 mm. Furthermore, this impressive ring is decorated with 12 Brilliants with a total of 0.314ct-HVS1. 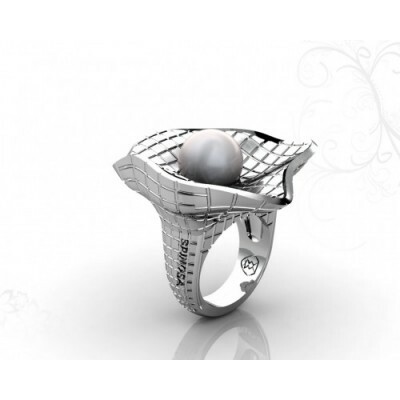 Fine Pearl Ring made with 9.11gr of White Gold and 30 Brilliants with a total of 0.90ct-HVS1. Central placed you have a beautiful White Pearl of 10mm. 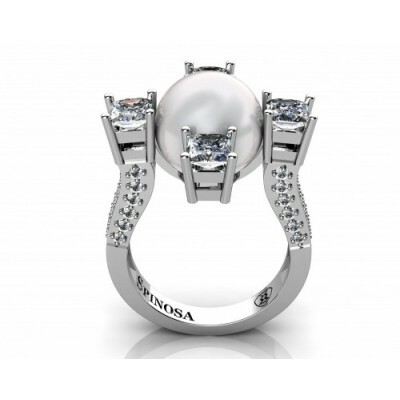 An exclusive pearl ring made by Manuel Spinosa shows a modern and minimalist style embodied in the ring. The Cultured pearl is 10mm big and set in a 25.6g of 18k white gold metal finished. 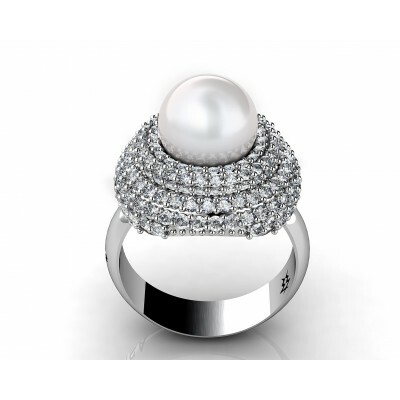 Beautiful and chic elegant Pearl ring made with 9.91gr of White Gold and 198 Brilliants with a total weight of 1.748ct-HVS1. 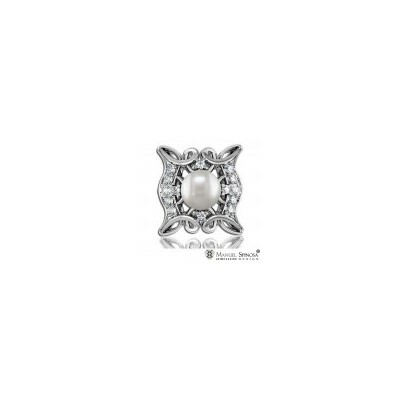 This classy ring holds a stunning White Pearl of 9mm in the center. 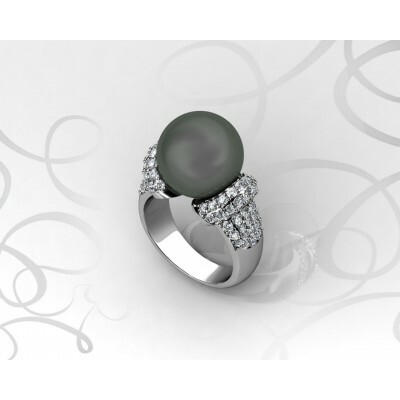 12g of 18k white gold supporting a beautiful and stunning 12mm Black Tahitian pearl with 1ct brilliants, quality HVS.